Not to be confused with Mulah or Mulla. Azerbaijani or Azeri, sometimes also Azeri Turkic or Azeri Turkish, is a term referring to two Turkic lects that are spoken primarily by the Azerbaijanis, who live mainly in Transcaucasia and Iran. Caucasian Azerbaijani and Iranian Azerbaijani have significant differences in phonology, lexicon, morphology, syntax, and loanwords. ISO 639-3 groups the two lects as a "macrolanguage". Ideally, a trained mullah will have studied Islamic traditions (hadith), and Islamic law (fiqh). Such figures often have memorized the Qur'an. Uneducated villagers may frequently classify a literate Muslim with a less than complete Islamic training as their "mullah" or religious cleric. Mullahs with varying levels of training lead prayers in mosques, deliver religious sermons, and perform religious ceremonies such as birth rites and funeral services. They also often teach in a type of Islamic school known as a madrasah. Three kinds of knowledge are applied most frequently in interpreting Islamic texts (i.e. the Quran, Hadiths, etc.) for matters of Shariah, i.e., Islamic law. Ḥadīth in Islam are the record of the words, actions, and silent approval, traditionally attributed to the Islamic prophet Muhammad. Within Islam the authority of hadith as a source for religious law and moral guidance ranks second only to that of the Quran. Quranic verses enjoin Muslims to emulate Muhammad and obey his judgments, providing scriptural authority for hadith. While the number of verses pertaining to law in the Quran is relatively few, hadiths give direction on everything from details of religious obligations, to the correct forms of salutations and the importance of benevolence to slaves. Thus the "great bulk" of the rules of Sharia are derived from ahadith, rather than the Quran. Fiqh is Islamic jurisprudence. Fiqh is often described as the human understanding of the sharia, that is human understanding of the divine Islamic law as revealed in the Quran and the Sunnah. Fiqh expands and develops Shariah through interpretation (ijtihad) of the Quran and Sunnah by Islamic jurists (ulama) and is implemented by the rulings (fatwa) of jurists on questions presented to them. Thus, whereas sharia is considered immutable and infallible by Muslims, fiqh is considered fallible and changeable. Fiqh deals with the observance of rituals, morals and social legislation in Islam as well as political system. 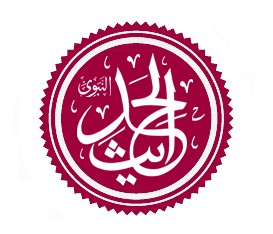 In the modern era, there are four prominent schools (madh'hab) of fiqh within Sunni practice, plus two within Shi'a practice. A person trained in fiqh is known as a faqīh. The Quran is the central religious text of Islam, which Muslims believe to be a revelation from God (Allah). It is widely regarded as the finest work in classical Arabic literature. The Quran is divided into chapters, which are subdivided into verses. Mullahs have frequently been involved in politics, but only recently have they served in positions of power, since Islamists seized power in Iran in 1979. In Syria, political militant groups supported by the West have taken root. The Taliban enforced Islamism in Afghanistan. The Iranian Revolution was a series of events that involved the overthrow of the last monarch of Iran, Mohammad Reza Shah Pahlavi, and the replacement of his government with an Islamic republic under the Grand Ayatollah Ruhollah Khomeini, a leader of one of the factions in the revolt. The movement against the United States-backed monarchy was supported by various leftist and Islamist organizations and student movements. The term is most often applied to Shi'ite clerics, as Shi'a Islam is the predominant tradition in Iran. 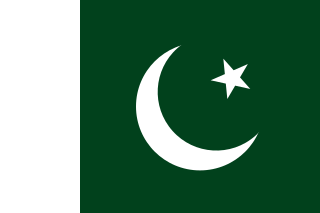 However, the term is very common in Urdu, spoken throughout Pakistan, and it is used throughout the Indian subcontinent for any Muslim clergy, Sunni or Shi'a. Muslim clergy in Russia and other former Soviet Republics are also referred to as mullahs, regardless of whether they are Sunni or Shi'a. Imam is an Islamic leadership position. The Islamic conquest of Persia (637–651) led to the end of the Sasanian Empire and the eventual decline of the Zoroastrian religion in Persia. However, the achievements of the previous Persian civilizations were not lost, but were to a great extent absorbed by the new Islamic polity. Islam has been the official religion of Iran since then, except for a short duration after the Mongol raids and establishment of Ilkhanate. Iran became an Islamic republic after the Islamic Revolution of 1979. This article summarizes the different branches and schools in Islam. 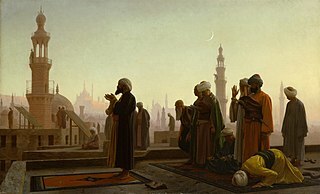 The best known split, into Sunni Islam, Shia Islam, and Kharijites, was mainly political at first but eventually acquired theological and juridical dimensions. There are three traditional types of schools in Islam: schools of jurisprudence, Sufi orders and schools of theology. The article also summarizes major denominations and movements that have arisen in the modern era. Rafida, also transliterated as Rafidah, is an Arabic word meaning "rejectors", "rejectionists", "those who reject" or "those who refuse". The word is derived from the Arabic consonantal root ر ف ض (r-f-ḍ), which as a verb means "to reject". The non-collective singular form is رافضي rāfiḍī "one who rejects". In Shi'a Islam the guidance of clergy and keeping such a structure holds a great importance. The clergy structure depends on the branch of Shi'ism is being referred to. In Islam, ziyara(h) or ziyarat is a form of pilgrimage to sites associated with Muhammad, his family members and descendants, his companions and other venerated figures in Islam such as the prophets, Sufi auliya, and Islamic scholars. Sites of pilgrimage include mosques, maqams, battlefields, mountains, and caves. An akhoond is a Persian title for an Islamic cleric, common in Iran, Azerbaijan and some parts of Afghanistan and Pakistan. The Standard Chinese word for imam, used in particular by the Hui people, also derives from this term. Grand Ayatollah Muhammad Is'haq al-Fayadh, is one of the most senior Shi'a marja living in Iraq after Ali al-Sistani. Abd al-Husayn Sharaf al-Din al-Musawi was a Shi'a Twelver Islamic scholar. Shia and Sunni Islam are the two major denominations of Islam. They chose sides following the death of the Islamic prophet Muhammad in AD 632. A dispute over succession to Islamic prophet Muhammad as a caliph of the Islamic community spread across various parts of the world, which led to the Battle of Jamal and Battle of Siffin. The dispute intensified greatly after the Battle of Karbala, in which Hussein ibn Ali and his household were killed by the ruling Umayyad Caliph Yazid I, and the outcry for revenge divided the early Islamic community. The Mourning of Muharram is a set of rituals associated with mainly Shia Muslims; however, some Muslims from other sects, as well as some non-Muslims, also take part in the remembrance. The commemoration falls in Muharram, the first month of the Islamic calendar. Many of the events associated with the ritual take place in congregation halls known as Hussainia. The Shia believe that an Imam can lead mankind in all aspects of life. The Imam is appointed by God. Muhammad informed that the number of Caliphs after him will be 12. The majority of the Muslim world are awaiting the 12th Imam: The Mahdi, either as a first time appearance or as a reappearance after a long occultation. The Mahdi is the greatest teacher, the Messiah of the Islamic World, Oand the Maitreya of Buddhism. According to the CIA World Factbook, around 90–95% of Iranians associate themselves with the Shia branch of Islam, the official state religion, and about 5–10% with the Sunni and Sufi branches of Islam. 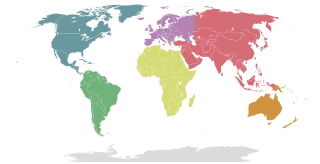 The remaining 0.6% associate themselves with non-Islamic religious minorities, including Bahá'ís, Mandeans, Yarsanis, Zoroastrians, Jews, and Christians. The latter three minority religions are officially recognized and protected, and have reserved seats in the Iran parliament. Zoroastrianism was once the majority religion, though today Zoroastrians number only in the tens of thousands. Iran is home to the second largest Jewish community in the Muslim world and the Middle East. The two largest non-Muslim religious minorities in Iran are the Bahá'í Faith and Christianity. The Bahá'í Faith, historically the largest religious minority in Iran, is not officially recognized, and has been persecuted during its existence in Iran. The Safavid conversion of Iran from Sunni Islam to Shia Islam took place roughly over the 16th through 18th centuries and made Iran the spiritual bastion of Shia Islam. It also ensured the dominance of the Twelver sect within Shiism over the Zaydiyyah and Ismaili sects – each of whom had previously experienced their own eras of dominance within Shiism. Through their actions, the Safavids reunified Iran as an independent state in 1501 and established Twelver Shiism as the official religion of their empire, marking one of the most important turning points in the history of Islam. Criticism of Twelver Shia Islam dates from the initial rift between the two primary denominations of Islam, the Sunni and the Shia. The question of succession to Muhammad, the nature of the Imamate, the status of the twelfth Shia Imam, and other areas in which Shia Islam differ from Sunni Islam have been criticized by Sunni scholars, even though there is no disagreement between the two regarding the centrality of the Quran, Muhammad, and many other doctrinal, theological and ritual matters. Shiite commentators such as Musa al-Musawi and Ali Shariati have themselves, in their attempts to reform the faith, criticized practices and beliefs which have become prevalent in the Shiite community. ↑ Esposito, John (2004). The Oxford Dictionary of Islam. p. 214. ↑ Roy, Olivier (1994). The Failure of Political Islam. Cambridge, Massachusetts: Harvard University Press. pp. 28–9. ISBN 0-674-29140-9. ↑ Taheri, Amir (1985). The Spirit of Allah: Khomeini and the Islamic Revolution. Bethesda, Md. : Adler & Adler. p. 53. ISBN 0-917561-04-X. ↑ Seyyed Behzad Sa'adati-Nik Tarīkhche-ye Lebās-e Rūhānīat (The History of Clerical Dress). Mehr News, 29 Tir 1394. "Mollah" . New International Encyclopedia . 1905.